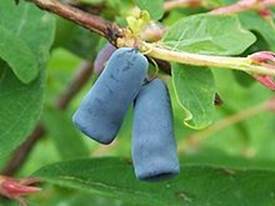 In the tree of the year family, honeysuckle or Caprifoliaceae, there are two species native in Estonia: the fly honeysuckle and the blue-berried honeysuckle. Honeysuckle species have been imported since long as ornamental shrubs in parks and gardens and sometimes for instance the perfoliate honeysuckle or the tartarian honeysuckle may become an escape. Habitats of the fly honeysuckle are for instance fertile conifer and mixed forests and meadow verges. Even in winter it is not difficult to recognize it in nature. 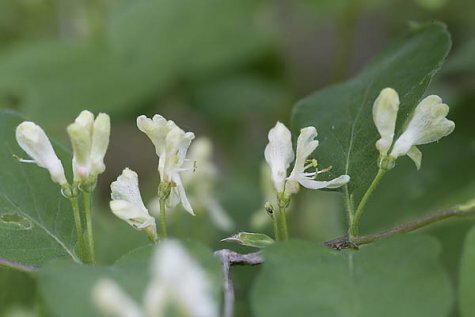 The sweetberry honeysuckle does not grow in the Estonian islands; it is preferably found in western and southern Estonia. Towards spring we will of course look closer at the these shrubs.